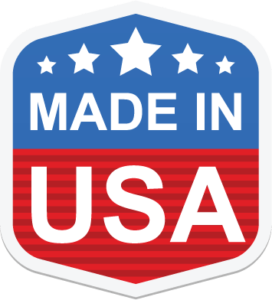 Many components are in stock and available for immediate shipment. 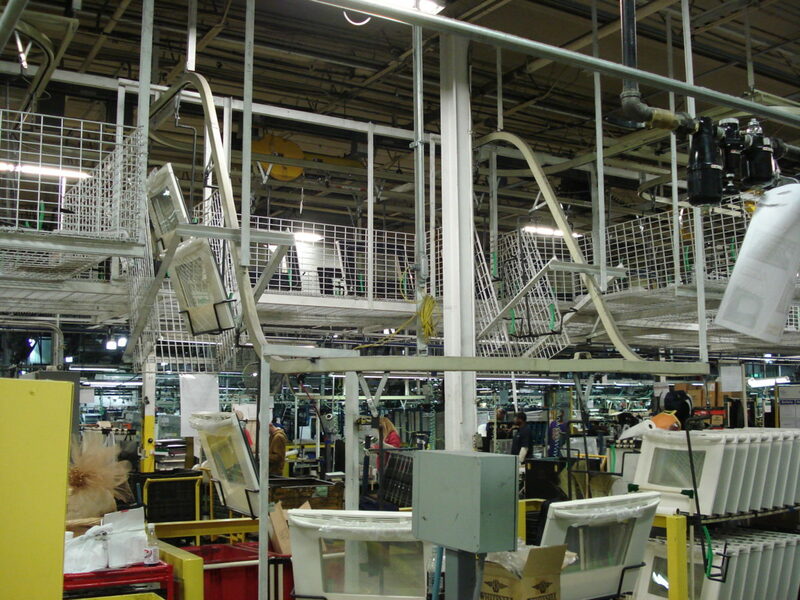 We also manufacture custom product hooks / hangers for your system. 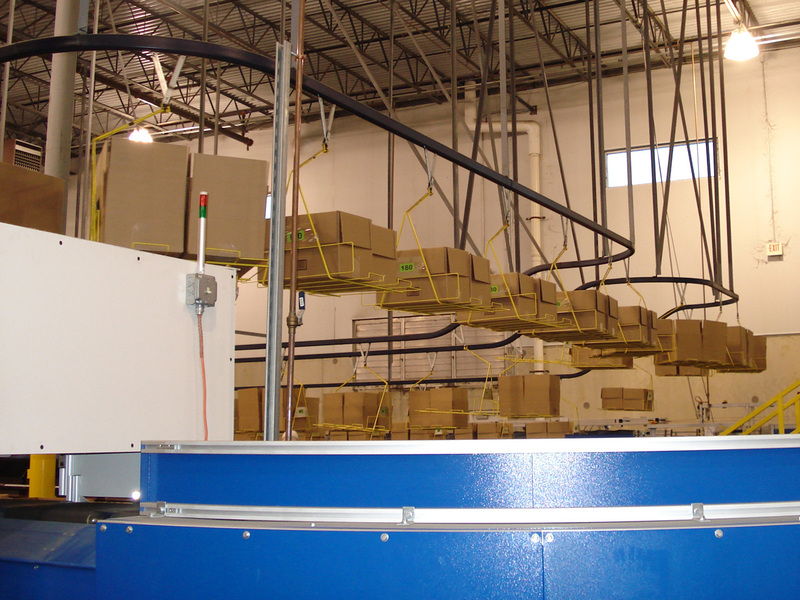 Progressive Assembly and Work-In-Process Storage is simple with Zig-Zag™ chain conveyors. 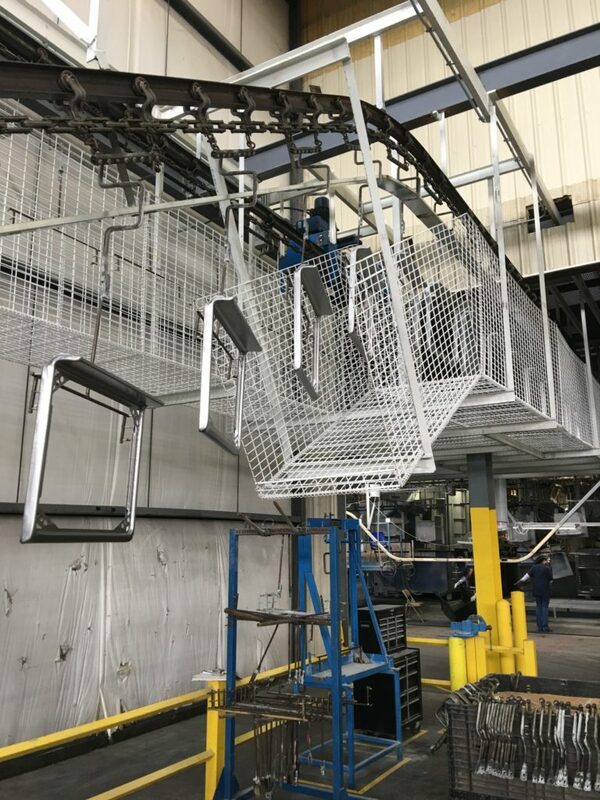 Subassembly processes are located in specific areas of your product rack, providing not only transportation for your product between processes, but storage of your work-in-process as well. 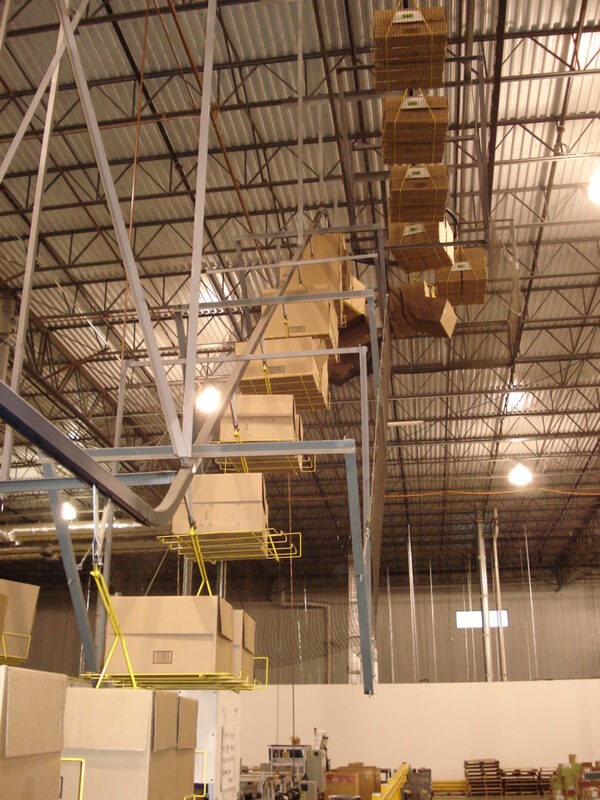 Why waste time and manpower to palletize and move work-in-process via forklift when the same money will be spent again to move product at the next work cell? Transportation of product from one process to another via powered monorail is very economical. 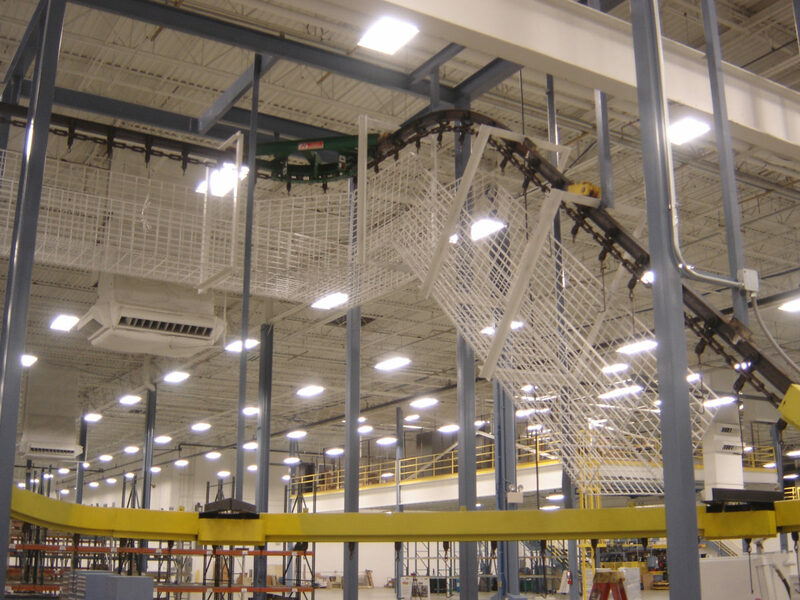 Powered monorails not only eliminate the variable cost of moving product through manufacturing, but they also help to set and drive production rates. 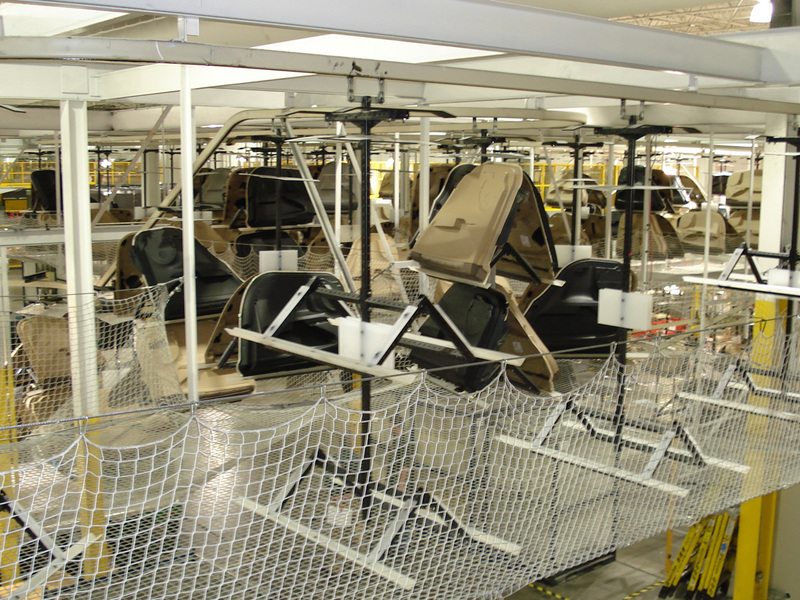 In addition, they address ergonomic issues by delivering product to the worker at an optimum picking level. 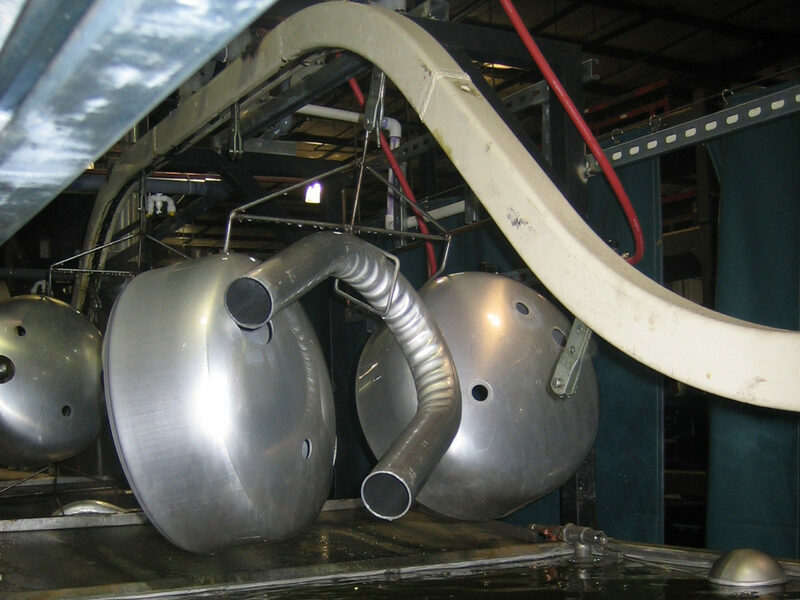 Processes such as powder coating, e-coating, and investment casting are very process specific. 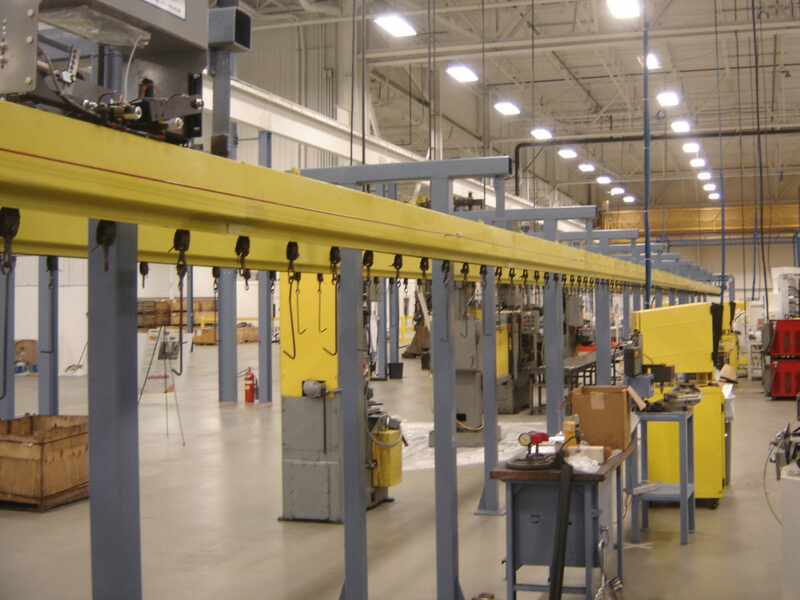 Powered monorails provide a fixed speed to develop your processes around, as well as a convenient means to move product through potentially harmful environments.